In his presentation at Talk & Play #13, Tristan Dahl asked the audience “Am I indie or unemployed?” Almost one year later, he’s back with another question: who did it? One Show Only, Dahl’s first commercial release, is a detective game where the player interrogates witnesses to a crime by playing a card game against them. The developer (who’s now both indie and employed) felt that the whodunnit genre was underrepresented in videogames, so he decided to do something about it. 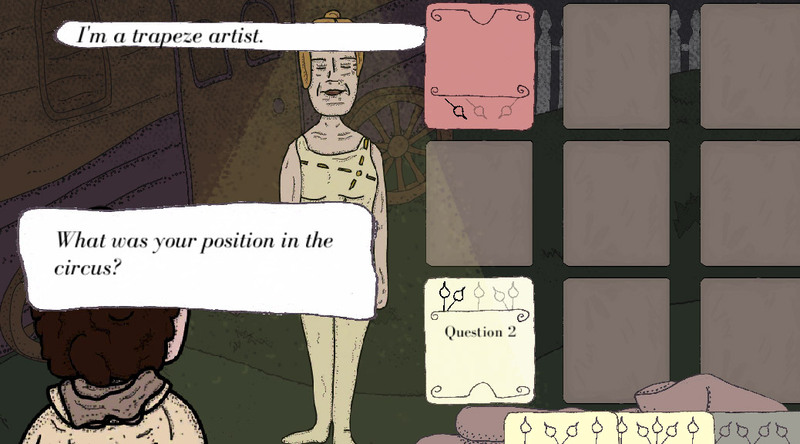 The result is a unique combination of game mechanics and narrative, featuring hand drawn comics, which is definitely worth checking out. One Show Only is available now on itch.io for PC and Mac. A mobile release is expected for later in the year.